Linda, who owns her own bodywork business, uses database and accounting applications software to schedule and bill her clients. Furthermore she needed to meet the Federal mandate for creating secure, confidential, electronic medical records. When Microsoft phased out support for Windows XP, Linda queried the vendor of the software about whether it would run on Windows 7. They said "no". She faced several problems: needing to upgrade to a supported version of Windows (either 7, 8, 8.1 or 10), and creating a secure system for electronic medical records. She adamantly told Frank she didn't want to pay for a software upgrate or new computer. How ByteWise / PC 911 Solved Linda's Problems. In stepwise fashion, Frank told Linda they ought to try running her database and accounting system on Windows 7 just to see if it would work. 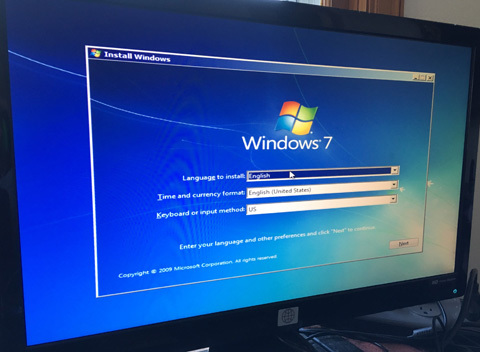 By building an entirely clean Windows 7 system on a separate hard drive, and copying her database and accounting system over to it, Frank was able to do the test without affecting her existing Windows XP system (that was working). Linda and Frank found that the database and accounting system did indeed run without any problems on Windows 7, despite what the vendor told her! To solve the need for secure, electronic medical records, Frank built Linda an inexpensive, separate Window 7 desktop that does not connect to the Internet, but instead only interfaces to an isolated LAN. Linda was very happy that she didn't incur thousands of dollars of expense for a software upgrade to her database and accounting system, and also that she now complies with the Federal government mandate for secure, electronic medical records.